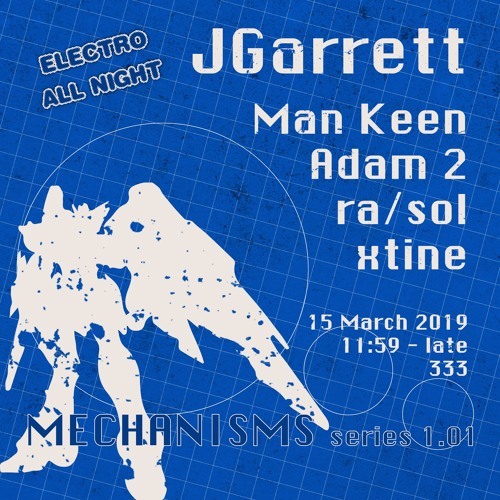 Special electro set I played at Mechanisms 1.01 on March 15, 2019. This is a little break from the techno I usually play. Featuring tracks and remixes from Jedi Knights, Cybotron, Model 500, Anthony Rother, Aux 88, Exzakt, Glass Domain, Armageddon Dildos, Disco D, Newcleus, Underground Resistance, The Martian / Red Planet, Clatterbox, I-F, Linoleum Head, and more.